So far only very minor damage, but we still don't like it one bit. 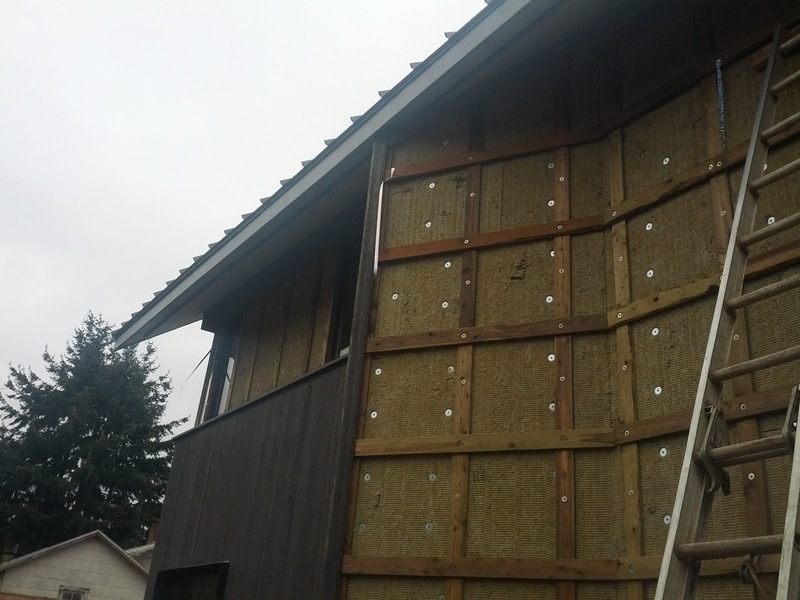 The damage is limited to the edges next to unfinished areas. Bird sits on the convenient furring strip perch and has a go at everything nearby. 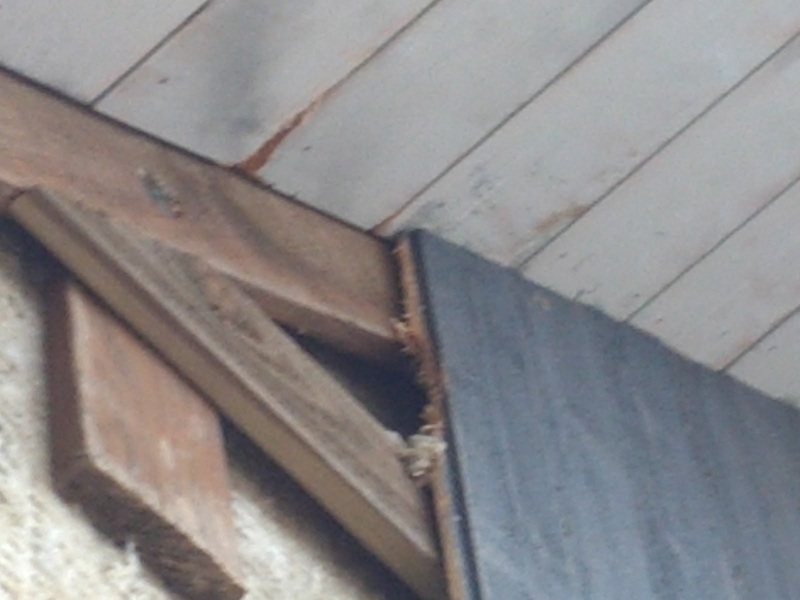 Hopefully, when the siding is complete and they don't have their perch, there will be no problem. A plastic owl: apparently not very effective unless you move it regularly. Only protects the area in sight of it, so I'd need a few. An expensive balloon with gaudy evil-eye graphics. Um, no. 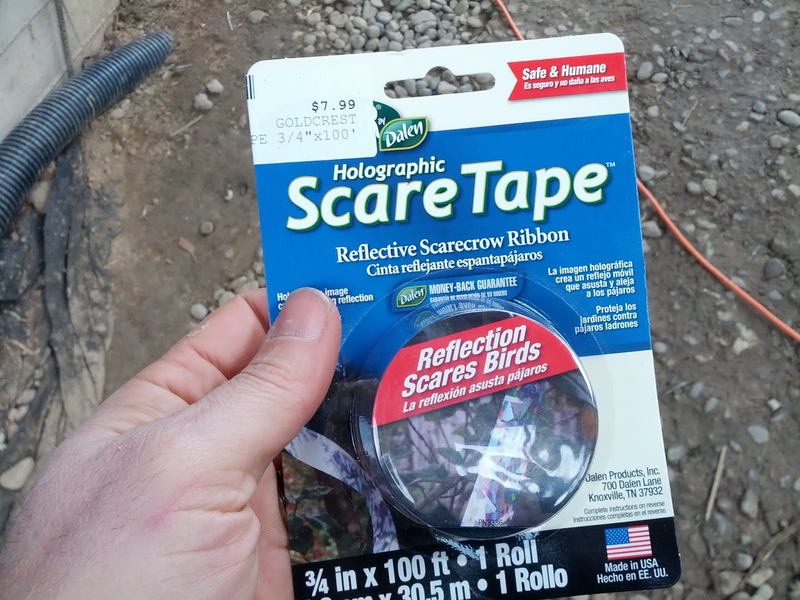 Scare Tape: flashy silver reflective strips. Cheap and easy to use. We went for the Scare Tape. The house now has a stylish disco feel to it; silver strips flashing in the wind. Hope this works.